6.16" x 2.96" x 0.30"
Cons: I bought this phone 15 months ago. The body is pulling away from the bottom of the phone. I got hold of Honor and they said it would cost 98.00 to fix the phone. I have phones that are 6 years old they look and perform perfectly. This one lasted 15 months and they wont stand behind it. I know the warranty is 12 months but cmon, really? I bought a Motorola G6 instead. Feels premium also and works better with my computer. This is my last Huawei product. Other Thoughts: I hope you have better luck than me. Cons: however, what has given me lots of troubles lately is the wifi connections. If I connect to public wifi and come home, the phone doesn't recognize my home wifi and it makes me either manually reset wifi settings or Erase network settings. It does that every single time. All other devices connect to my home wifi without a problem. I love this phone and wish it didnt' have this issue. Other Thoughts: This phone is not dual sim. I don't mind it. Pros: Big, bright, 18.9 aspect ratio display, All metal construction, Long battery life, Dual camera, Decent performance, Stylish design, Reliable, Face unlock, Double tap to wake. As you can see the pros outweighs the cons here. Other Thoughts: Absolutely recommend it to anyone looking for an affordable smart phone for every day use and some entertainment, even for some gaming. This is one large phone, a whopping 6-inch screen with an 18.9 aspect ratio display. Even if your eyes are not so good, you can still see this screen. The sub $300- mid-ranger was the Moto G5 Plus for a while, however that's changed. You do get a lot of phone for just $250- Cdn. The placement of the rear camera and the built in antenna lines reminds you of an Iphone of some sort, but trust me we had apple in the family before and don't want one again. This is one super communication device with tank like build. I wish Huawei just place USB type C charging port on all of their phones, We can live with the lack of NFC for now, but some sort of protection would be nice, like Gorilla-3. The camera takes nice pictures, especially outside. My fav feature is the double tap to wake option, so no need to press a power button just to see if we have a message or check the time. The 7x also has a notification light, koodos for Huawei. Some say the Mate SE would have been a better choice, but this is the same phone and I've yet to see this device actually using up more than 3Gb of RAM at once. You can also insert a cheap SD card to instantly double your storage. Since the screen is not protected, I urge you to obtain a sturdy case for better protection, although the 7X comes with a bonus case in the retail box which is better than nothing. Why I deducted one egg?! At the time of ordering it stated that delivery will be conducted by Canada Post, which is fine because we have an in building mail box implemented just for these type of shipments, however NewEgg Handed over the package to the worst courier company in Canada, "Purolator! Sure enough at first they just slammed the usual sticker on the main entrance, claiming they could not deliver. I knew they would repeat this next day, so instead of waiting, we had to call Purolator and re-route the package to the office in downtown. I wish Newegg would stop doing business with incompetent companies like this and let Canada post or UPS handle shipping. Pros: Beautiful Phone, feels higher end that flagships from a few years ago. Other Thoughts: If you're buying the phone, there are two updates (one to android Oreo, and a security update). I recommend that you skip the initial setup, manually perform the two updates and then do a factory reset and setup the phone properly. Other Thoughts: First off it's not a "perfect" phone for everyone. There is no such thing. It's totally useless if you have Sprint or Verizon (don't complain if you try). But for those of us with AT&T or T-Mobile service this is a great option. It's so well balanced. Nothing is truly "top of the line" but it does everything very well. The build quality isn't what you'd expect for a $200 phone. It's every bit as good as you'd expect from a high end Samsung or an iPhone. No sharp edges, no rattle in anything, no real gaps where you don't expect them. The screen is amazing in this price point too. Sure it's not a Super Amoled, but let's be serious this is a $200 phone. The cameras (yes it's got a dual rear camera) are actually very good. I'm sure in more capable hands it might not be enough, but for my terrible photography skills it's better than me. Battery life might be the only top notch feature. It's got a smaller battery than my S8 Active (personal phone), but the 7x (work phone) keeps pace every day like it's nothing. Whine about the micro USB port if you must, but I don't care since I can always find a micro USB cable around the office, my truck or anywhere else for that matter... good luck pulling that off with USB-C. Plus that on it's own saved me from having to spend more on other cables. 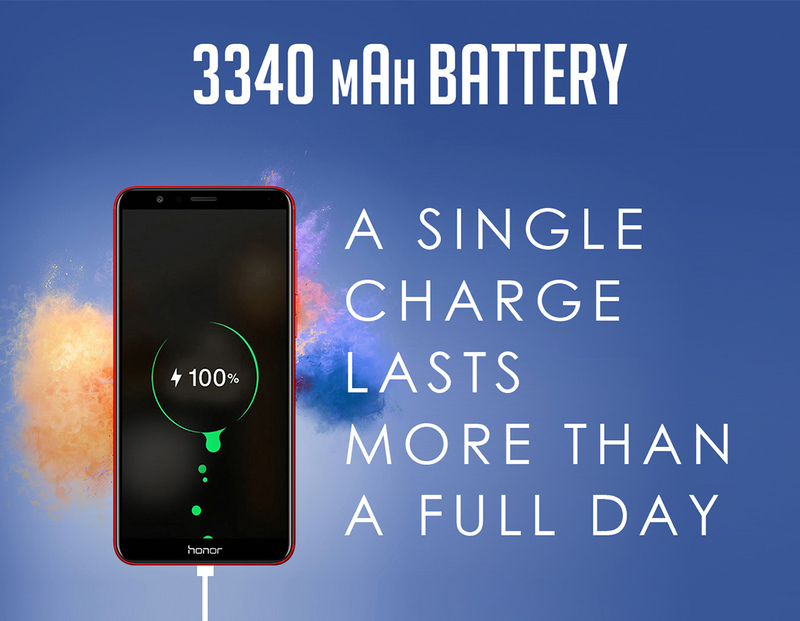 Contrary to Honor / Huawei's own information, this phone DOES have some kind of fast charging. The included AC adapter does not. So there is that. it's got a headphone jack for those that care too. Also another minor error in the manual / specs. 128gb is not the limit for the SD card slot. I have a 512gb in mine and it works fine. The speed of phone is not an issue either. Admittedly not the fastest if you go by benchmarks, but in the real world you won't notice unless you open the same app up at the same time on a phone like an S8. 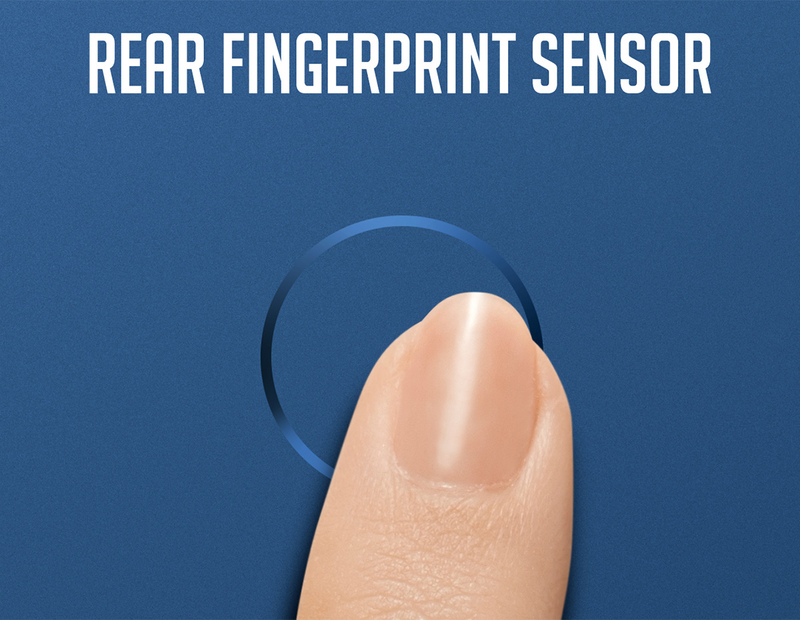 Of course that's assuming you can someone manage to unlock the S8 anywhere near as fast as using the finger print reader on the 7x. But all said and done, if my S8 died today, I'd have to buy one of these for myself. If they launched a phone like this with an IP68 rating and wireless charging I wouldn't wait. Plus both of my parents switched from iPhone 7 Plus' after seeing this phone. Didn't bother spreading payments out on a new iPhone. We are thrilled to hear that your husband is satisfied with the incredible Honor 7X and its incredible features! 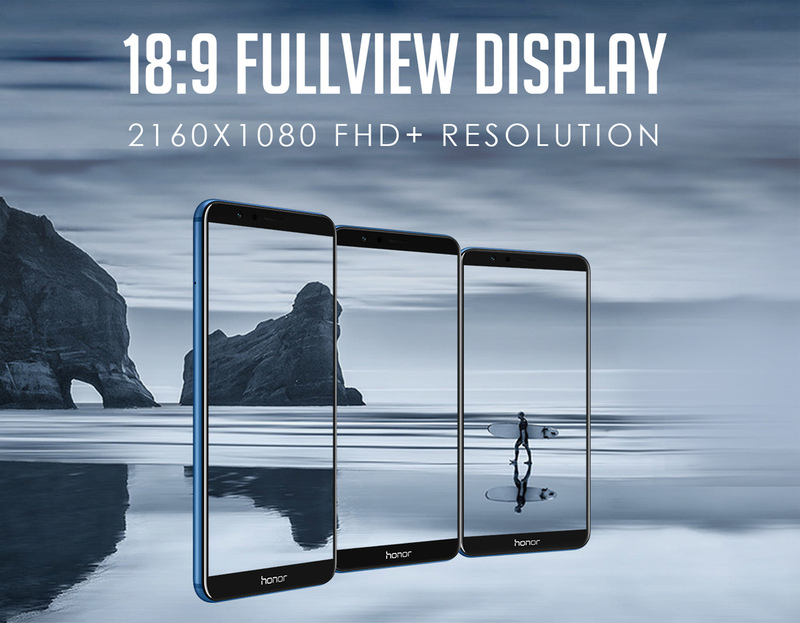 Do not hesitate to contact us if you have any questions or suggestions regarding your incredible Honor Smartphone, we will gladly assist you with any of your concerns. 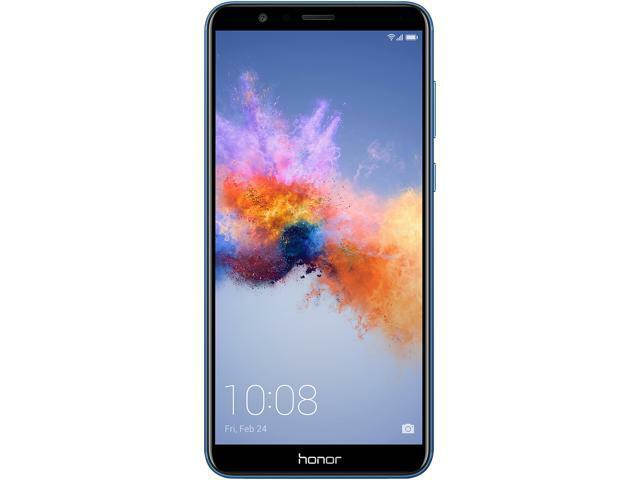 Welcome to the Honor family. 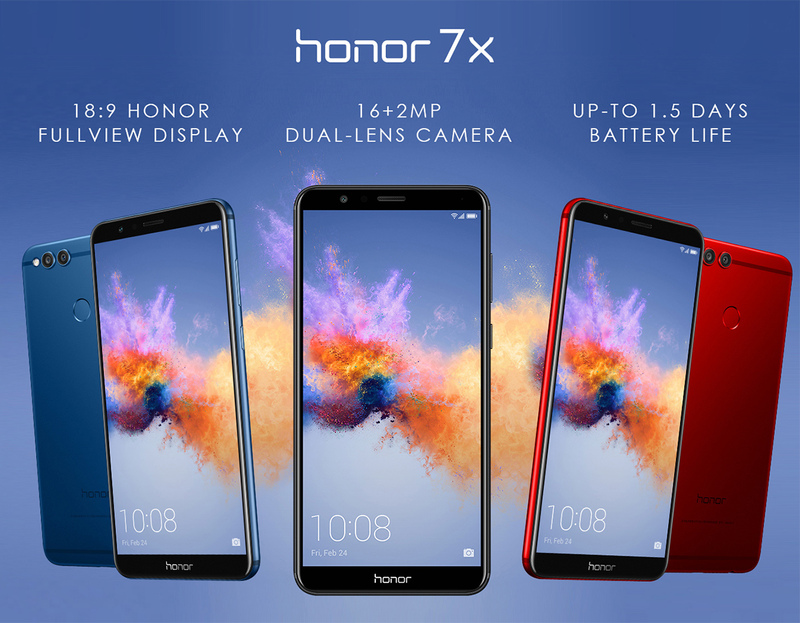 We are thrilled to hear that you are satisfied with every aspect of your incredible Honor 7X. Thank you for purchasing Honor products. 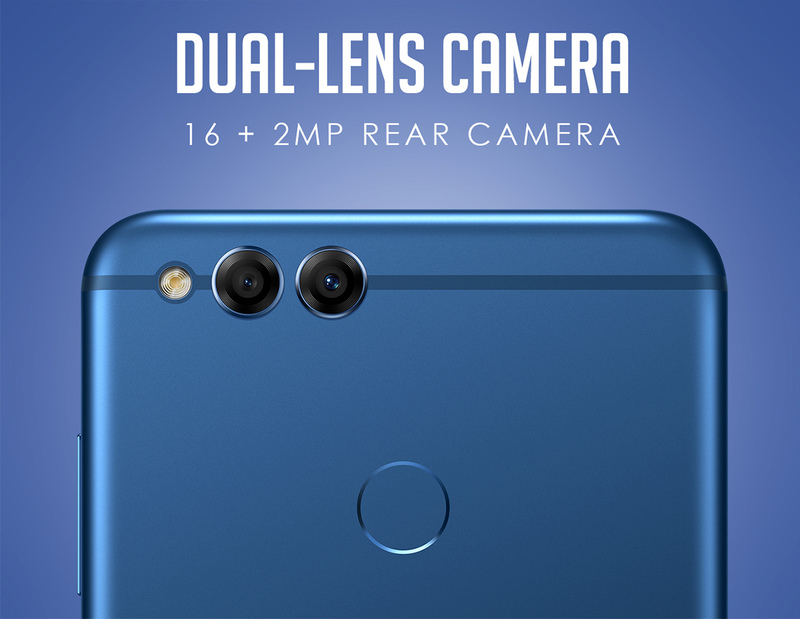 Thank you for your kind words regarding the incredible Honor 7X! We really appreciate the time you took to help us improve our products and our service. Thank you for being such an awesome customer. 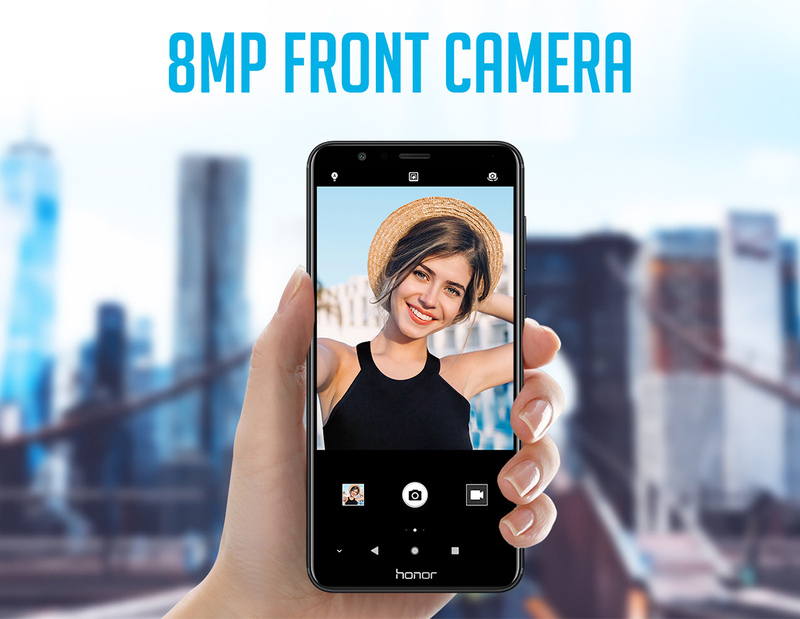 Do not hesitate to contact us if you have any questions or suggestions regarding your incredible Honor Smartphone, We will gladly assist you with any of your concerns.